Closeout. 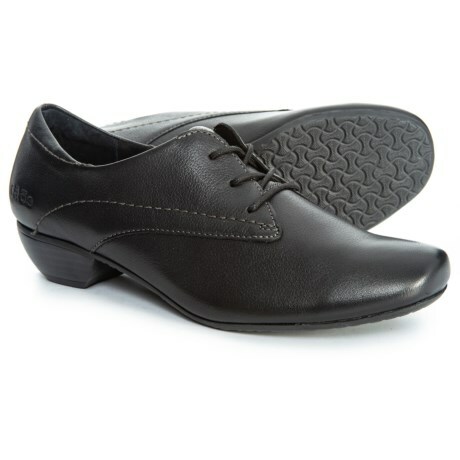 A work-to-weekend essential, these Taos Footwear Cobbler oxford shoes are crafted in leather and cushioned for all-day comfort. Available Colors: BLACK LEATHER, BLACK PRINTED SUEDE. Sizes: 6, 6.5, 7, 7.5, 8, 8.5, 9, 9.5, 10.